The politicians in this world… have at their command weapons of mass destruction far more complex than their own thinking processes. We… are not really free if we can’t control our own government and its policies. And we will never do that if we remain ignorant. 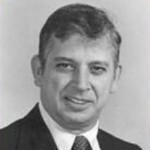 Charley Reese was an American syndicated columnist known for his conservative views. He was associated with the Orlando Sentinel from 1971 to 2001, both as a writer and in various editorial capacities. King Features Syndicate distributed his column, which was published three times per week.